Awards which are being held in Auckland this weekend. Hall of Fame Inductee and Player of the Year Central Squash Trophy - Kaitlyn Watts - Squashgym Palmerston North - A special award was announced on the night and that was young Kaitlyn Watts from Squashgym Palmerston North who was inducted into the Central Hall of Fame. Along with that she also took out the Player of the Year award. Watts has had huge year competing all over the world. She currently has a world ranking of 117 and is the #1 ranked NZ Junior along with #3 in the Senior Rankings. This year she was sent as NZ's representative to the Youth Olympics in October and also represented NZ at the Junior Worlds in Chennai. It was however her selection in the NZ Senior Women's team that went to the World champs in China this year that earned her the right to join the exclusive club and be the 13th person inducted. Watts was part of the team with Joelle King (Waikato), Amanda Landers-Murphy (Bay of Plenty) and Abbie Palmer (Auckland). They were seeded 7th and advanced through pool play to the quarters where they played the power house Egyptian team, losing 2-1. Eventually they ended up in 8th spot but Watts got a taste of what it's like to play at that top level as she came up against some top 10 players in the world, all very exciting for a 17 year old! Referee of the Year - Acknowledgement Award - Mike Jack - Kawaroa Park Squash Club - Mike Jack from Kawaroa Park took out the Referee of the Year award and was acknowledged for his tremendous work he does in this area. This year he has been assessing 3 potential Central District referees and has done a huge amount of work with them. He was the appointed Tournament referee for the Palmerston North PSA in June and refereed at the Senior Nationals and North Island Junior Age Groups. 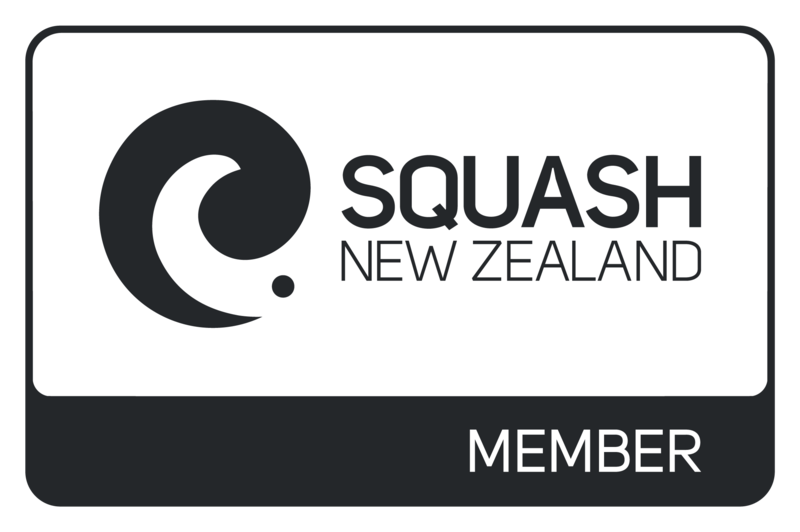 Mike is also on the N.Z Squash referees Panel which oversees appointments and ongoing performance of referees and he has a passion for the sport which is a huge asset to Kawaroa Park and to the Central District. up and coming players just below the HP level. Services to Mens Masters - Merv & Jean Tapp Trophy - Rod Bannister - Whanganui Squash Club - Rod won the 2018 NZ Doubles Title - Mens 50+ in Auckland at the start of the year. He represented Central at the Newbigin Shield One Day Senior fixture, NZ Masters individuals and teams in Tauranga where he earned a #3 placing in the individuals. He continues to coach and manage Central Senior teams with a passion and is still representing the district amongst team members 30 years his Junior! players, beat them both in 5 - therefore win the U13's as an 11 year old. She also was awarded Most Improved Junior at the event - the youngest player to ever win this award. Coach of the Year - Donna Wilson Trophy - Pete Arnott - Tararua - Through his passion for squash coaching, particularly in the areas of technique, movement and psychology, a signature imprint is coming through in his players that you can tell which players Peter has been working with on a regular basis. In the districts Prince Junior Squash Series 7 out of 16 highest points earners for the series were coached by Peter Arnott. He coached Brody Bennett to reach the Boys U11 final in the NZ National Junior Age Group Championships this year. Peter coaches about 20 players on a weekly or fortnightly basis. His motto is "that no child should miss out, especially due to financial reasons". It truly demonstrates Pete's aspirations and passion for Squash and his enthusiasm and passion for the sport is second to none. grade titles. He also took out the Whanganui Club Champs C & D Grade Cups. Administrator of the Year - Sharon & Warren Patterson Trophy - Caroline Kuklinski - Hawara Tennis & Squash Club - Caroline has been involved with the Hawera Squash Club for the last 16 years. She is currently the Secretary for the club. When tournaments or championships are run, Caroline spends all her spare time helping with coordinating the events. In the past 12 months she has been fully involved and committed and was an integral part of the running of an exhibition match which brought two Commonwealth games players to Hawera. She is a keen squash player and tennis player and has been a team captain for both Tennis and Squash, more than anything she is like an "unofficial club manager". 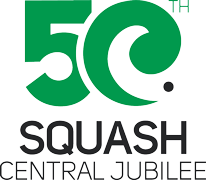 Volunteer Contributor to Squash - Central Squash Trophy - Melville Holmes - Hawera Tennis & Squash Club - Melville has been involved with the Hawera Lawn Tennis and Squash Club for many years and is currently the Men's Squash Captain. He is a keen player himself but most importantly in his role he takes on more than what a full time job could offer all for his passion for the sport. Amongst organising business house squash, interclub squash, tournaments and championships Melville organised and ran an exhibition match with Lance Beddoes Management at Hawera which was a sell-out. It was such an outstanding evening that he has been approached again as a first option to run another exhibition match between Paul Coll (World #8) and Diego Elias (World #12) in December, which only 5 exhibitions will be played throughout the whole of New Zealand. Melville also managed the C Grade Men's team in the Central Superchamps along with running the clubs Squash Open which he has done for many years in a row. If he isn't running around sorting teamsand games, he's continuing to get sponsorship and members. ability. Allan's smile is contagious and it is very challenging to find the motivation to get fired up against him on the squash court. His on-court demeanour is calm and composed with the odd cheeky grin to win the crowds over. On the court Allan has represented Central at the Newbigin shield, Senior Nationals, B Grade Nationals and was also selected and played for the first NZ University Team this year that travelled to the UK. Allan has played a total of 86 games - that is close to 30 weekends of squash tournaments this year! Faint, Genevieve Bell (all SquashGym) and Tia Pauro (Hawera). Club of the Year - Carson Family Trophy - Kawaroa Park Squash Club - The Club has had an outstanding year this year and hosted a national squash event for the third consecutive year. Membership numbers have soared this year to a credible 336 members, up 17% from the 2017 season (288). Broken down further, the club has seen a 17% increase in graded members and an astonishing 34% increase in the number of Junior members. They also had a team in every division of the district Superchamps, a total of 10 full teams in every grade of both men's and women's divisions. Further to this, 9 of the 10 teams finished in the top three (2 in third place, 6 runner's up and 1 outright winner). They had good numbers at their B grade and Open tournaments and the club also hosted 16 teams from around the nation for the National B Grade Superchamps and the district B grade Superchamps 5 weeks prior to this. 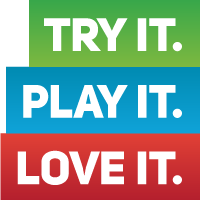 They continue to have a strong ladder league interclub competition with 60-80 entrants, fortnightly club nights which can attract up for 40 people and also two full rounds off business house squash where teams play in a 6 week competition.